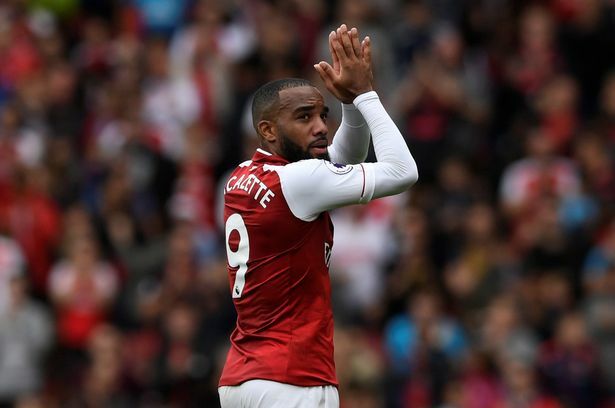 Arsenal manager, Arsene Wenger, has spoken on his tendency to substitute Alexandre Lacazette in the second half of their matches. Lacazette joined Arsenal last summer and was expected to be the focal point of Wenger’s attack for the 2017/18 campaign. The 26-year-old has managed nine goals in 24 Premier League appearances this season, but has only played the 90 minutes of a match six times. Asked about his tendency to substitute Lacazette, Wenger told the Arsenal magazine: “I must say that [Lacazette] plays in a position where you sub more than say a defender. “You substitute a striker more than you would a defender, because they always have to provoke, to defend, to attack, you have to create holes in the defences. The strikers are more subbed than others. “Secondly, he was in an adaptation period where I felt that, without any objective measurement, that sometimes he struggled a bit more in the second part of the game, especially in the last 20 minutes, to create the movement he can. Lacazette returned to training earlier this week for the first time since mid-February after undergoing surgery on his knee.